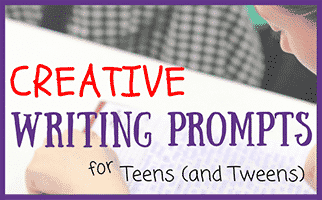 Creative Writing Prompts for Teens and Tweens— As tweens prepare to transition into the next stage of their lives, they often feel pressured to conform to what’s “popular.” They might feel pressured to fit in with other students and feel uncomfortable expressing their own individual preferences. That’s why it’s so important to emphasize creativity and the power of a well-defined identity with your students. 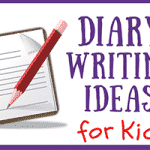 Journaling encourages tweens to get to know themselves and to think about issues from multiple perspectives. When students journal regularly, they become more comfortable in expressing their ideas. Students who tend to follow the crowd will find their individuality on the page, as they have the freedom to write their thoughts without judgment. Journaling also helps students to think more deeply about subjects they might not have considered before. As new thoughts transition from ideas to beliefs, tweens take another step toward becoming adults. 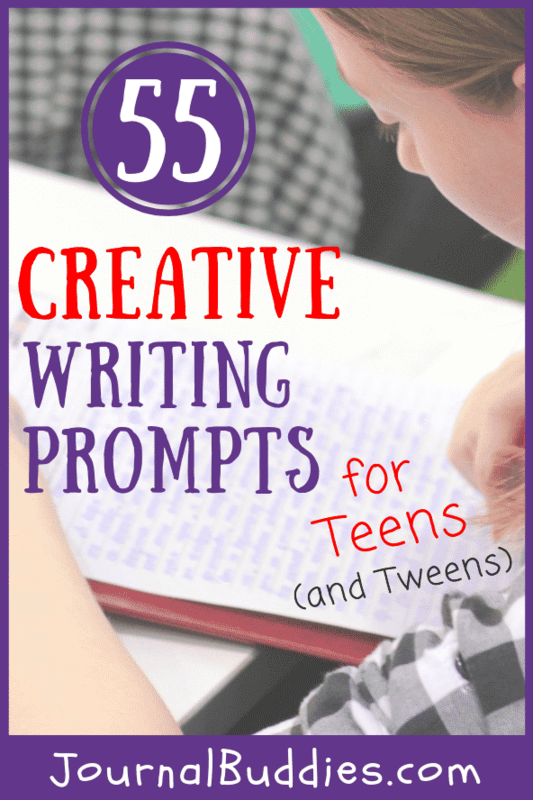 Encourage expression and examination of ideas with these creative writing ideas for tweens. 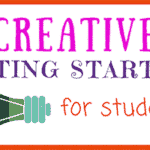 Each prompt gets students thinking and offers an opportunity for a creative response. Do you act differently online than in real life? Do you think the town you’ve grown up in has influenced the person you are? What is something that you believe in strongly? What is the most inspiring thing you’ve ever been told? What is the greatest responsibility your parents have given you? Are you good at keeping secrets? Why or why not? Write about a time when you made a sacrifice for someone else. If you could vote, would you be a Republican or a Democrat? Write about a time when you were surprised. Choose five symbols or objects that represent you. Why did you choose these things? How do you tell if someone is telling the truth? What privilege of getting older are you most looking forward to? How much freedom do you have online? Do you want to have kids when you get older? Would you rather read a book or watch a movie version of a story? What is the hardest thing you’ve ever had to learn? Have you ever given something important away? If you could visit another decade from the past 100 years, which would you choose? What would it be like if you could control your dreams? Do you pray? Why or why not? Where is your favorite place to go when you feel restless? How do you feel when you work with a team on a group project? Do you think our country’s political system works well? How have you changed since last school year? When you get older, what memories from your childhood will you want to recall? 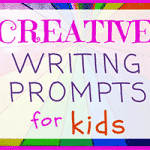 Write about a favorite saying or quotation. What is the best choice you ever made? What is the nicest thing you’ve ever done for someone else? What is your favorite smell? Why do you like it? What does it mean to stand up for what you believe in? Write a poem about turning 13. Are you still friends with your friends from kindergarten? What values will you teach your children? What do you feel when you look back at yourself five years ago? Which subject in school is the easiest? Which is the hardest? Would you rather spend the weekend with friends or by yourself? 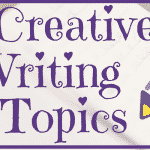 Write about a time when you lost something important. Do you prefer to read classic books or modern literature? If you could take a dream vacation, where would you go? Write a poem about living in America. Do you prefer to spend or save money? How can you share your talents with others? Should the phrase “under God” be included in the Pledge of Allegiance? 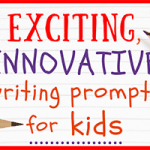 Write about a time when you tried something new. 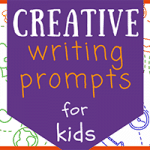 In these 55 new creative writing prompts, tweens will consider important subjects like influences on their personalities and political positions. They’ll also reflect on issues surrounding family, responsibility, and altruism.